Meet Kelsey Chatterson, Production Manager at Bespoke Audio Visual. 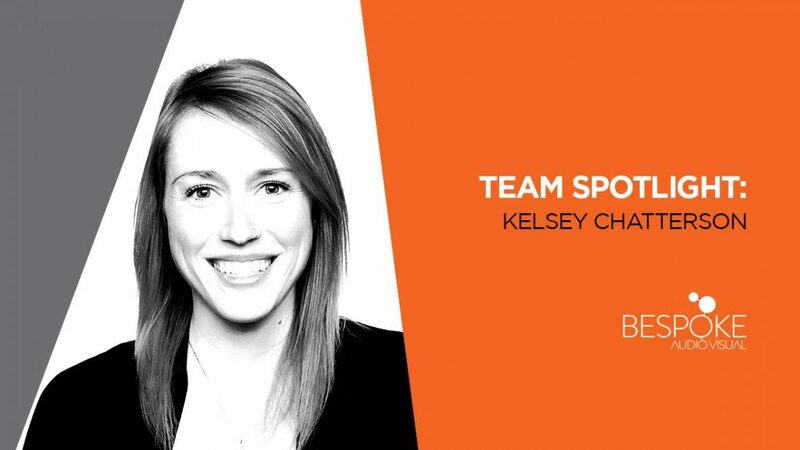 Kelsey has worked in the audio visual industry for four years. Her hands-on, practical yet creative approach, leads to ideas that keep her roster of clientele returning year after year. What are you most excited about joining the Bespoke Audio Visual team? I think I am most excited about working with a team of people that fully supports each other, it feels more like a family than a group of co-workers! We have an incredibly talented group of full-time employees (and freelance pool) that have a positive attitude on-site and are always willing to jump in and help when needed. I’ve never worked for a company like that before, it’s a really nice change! I like to stay active in my free time by going to the gym, rock climbing, cycling, or going for hikes. I also like to get out of the city on weekends. I take any chance I can to visit friends and family! I have always wanted to buy an old VW van that I can travel in and see as much of the world as possible! I went on a van adventure last summer and drove around Vancouver Island for 10 days and it was amazing. I could definitely see myself living the van life sometime in the future! I wish knew more about health and nutrition! It’s so important in our industry to keep healthy and be conscious of your diet. I wish I had more time to learn about the science of the human body and the best practices to help keep a balanced lifestyle. Aerial silks and acro yoga! Both really fun ways to keep active and help with strength and flexibility. Cinque Terre, Italy. It’s on the northwest coast of Italy and consists of five beautiful postcard, coastal villages. It totally stole my heart! Lots of little hidden gems to explore. I am absolutely determined to learn to scuba dive! It’s at the top of my list of things to do in 2019.